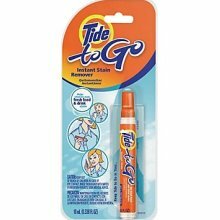 Blessed Beyond Riches: Free Tide to Go pens on Sunday! Looking to save some money on everyday items? Look no further! Free Tide to Go pens on Sunday! Tide will be giving away 5,000 Tide to Go pens on Sunday, January 9, 2011 at 8 p.m. EST. These will go fast. Check Facebook on Sunday for more details. Don't miss a deal follow us on Facebook! I am a stay at home mother of 3 but first and foremost a Christian. I thank my Lord and Savior for everything he has provided! The purpose of this blog is to be able to help others save a little money! Come join me as we all try to save a little bit!